It wasn't until the 19th century that artificial light was first generated. The big leap came in the 1880s, when Thomas Edison lit homes across America with the incandescent bulb. For the next 130 years, incandescents ruled the nights, the roads, and especially the Christmas tree. But today, the last glowing filaments of that living room powerhouse are burning out. Beginning with the new year, federal law will require all light bulbs to be 25 percent more efficient, leaving Edison's beacon of late night fun out in the dark and flipping the switch to its more frugal counterparts, such as the long-lasting compact fluorescent. "You might install a light bulb in your foyer, when you're kids are born and that light bulb will still be working, no problem, when the kids go off to college," says Ed Crawford of the Phillips, North American Lighting Division. But not everybody is thrilled with the change. For one thing, the alternatives are significantly more expensive up front. Concerns over prices even reached the campaign trail, where Republican presidential hopeful and Minn. Rep. Michele Bachmann declared, "I believe in liberty for light bulbs" - meaning - continuing to give consumers a choice. 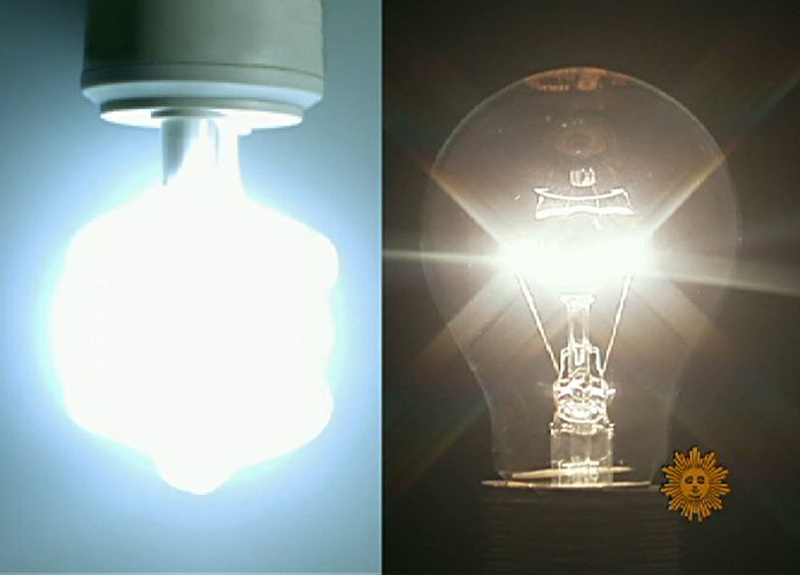 Many consumers complain the newer bulbs just don't look right. "There's a pushback," says lighting engineer and historian Dave Dilaura, "from people who say, 'I'm sitting in my living room, I want a warm, comfortable light. And that's the word they use-- warm." Crawford concedes that, "Some of the earlier compact fluorescent products; they were not ready for primetime. They buzzed. They had lousy color. They made everything grayish-green." But, while compact fluorescents aren't winning any prizes, Phillips, the world's largest lighting company, recently won $10 million from the Department of Energy for work in a leading alternative - LED lighting. LEDs produce a warm glow, similar to a standard, 60 watt incandescent. They fit anywhere and are powered by a mere 9 watts. While it will continue to burn bright in the near future, Edison's most storied invention may be headed into the night. Says Dilaura, "It's the nature of technology. It has a lifetime, a start and an end. It's time to end." Four-point-seven billion sockets in the U.S. alone await that future. But, earlier this month, Republicans in Congress managed to eliminate all funding to enforce the new law - which was signed in 2007 by then-President Bush. Still, manufacturers have already started phasing out production of the old bulbs.